Enjoy performances by Valley View Vaulters and many other equestrian organizations. Join us for our first competition of the 2019 season! 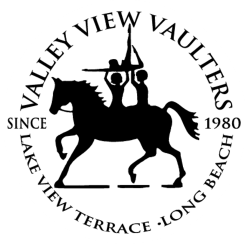 Visit the Valley View Vaulters information / barrel demonstration booth and enjoy other horse and animal related vendors and activities. Come celebrate Valley View Vaulters' 40th Anniversary with a fun day of food, drinks, equestrian demonstrations, raffles, games and silent auction. Please contact us 818-590-3319 to sign up as an equestrian demonstration or to become one of our event sponsors.